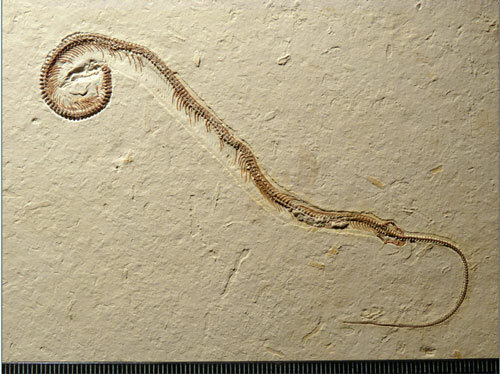 What Does a Snake Fossil Tell Us about the Bible? When news of a four-legged snake fossil hit the news earlier this summer, it was met with excitement by some who regard the Bible as literal history. The discovery “proves that snakes walked on foot, instead of crawling on their bellies. This is exactly what the Bible declared in Genesis 3:14,” declared fundamentalist Walid Shoebat (shoebat.com). 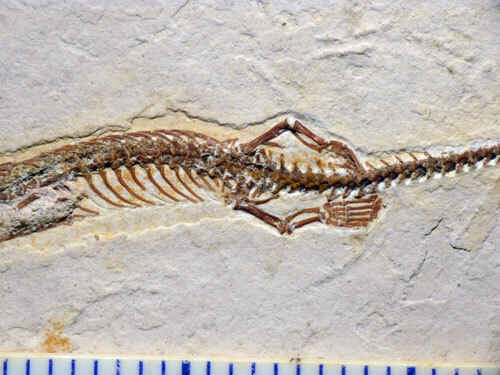 “Discovery of Snake Fossil with four legs confirms Bible Depiction,” a headline declared on the End Times Headlines site. It was taken by many as evidence that the Bible was right and science was wrong. Their ideas come from the biblical description of God’s punishment of the serpent in the garden of Eden. After learning that the serpent talked Eve into eating the forbidden fruit, God declares: “Because you have done this, cursed are you among all animals and among all wild creatures; upon your belly you shall go, and dust you shall eat all the days of your life” (Genesis 3:14). Some believers take this to mean that snakes originally walked about as four-legged “beasts of the field”—but that God’s curse turned them into the legless creatures we know now. They regard evidence of four-legged snakes as something akin to proof: Genesis is right! Snakes did have legs! Scientists see it differently, of course. Most actually agree that snakes evolved from creatures with legs. 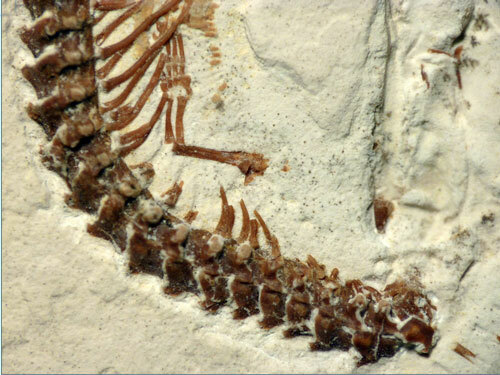 Fossilized snakes with hind legs had been found before, and some modern snakes still have vestigial hip joints. But they think that snakes’ legs disappeared gradually, through evolution, over many thousands of years. So what is it? Is science right? Or is the Bible right? Swedenborg would probably say that the Bible is right—but that the story has nothing to do with snakes’ legs, nothing to do with fossils, and nothing to do with science. He might even say that people who argue about it are missing the point. Swedenborg’s theological works say that the Bible is not a natural history of the earth. It is actually far more important than that: It is a spiritual history of humanity, told through a deep symbolism he calls “correspondences.” As Swedenborg tells it, Adam was not an individual man and the garden of Eden was not a specific place; Adam corresponds to the earliest and most innocent people, who lived simply and had a deep connection with the Lord that allowed them to understand and effortlessly live out spiritual truths. Eden corresponds to the love those people felt for the Lord, a garden filled with the wonderful things that arise from love. Swedenborg says that the serpent corresponds to what we might call scientific thinking: applying logic to things we can see, hear, taste, smell or touch in order to figure out what life is about and how things work. That is not inherently bad—it is a powerful way to learn and to solve problems, and has allowed human beings to create amazing things. But because it is focused on tangible things, things we can experience through our senses, it has little to say about intangible things like love, joy and kindness—things that can’t be measured but that make us truly human. For the innocent, loving people represented by Adam, this kind of thinking was destructive. Swedenborg says that rather than letting the Lord lead them into everything good and loving, they were bit by bit taken over by the desire to observe the world around them and use their minds to figure out what was good and loving instead. This is illustrated in the story as eating the fruit of the tree of knowledge. That was the first step humanity took away from the Lord, and it’s not hard to see it as the first step toward the way we think now, with our minds full of logic and information, desiring proof if we are to believe anything, trained to seek out evidence. If we understand it, though, it might help us see the importance of the intangible things, the things that are beyond serpent-logic, but that make life so worth living. Some people find Swedenborg’s approach to interpreting the Bible difficult to accept, but there’s a good comparison in the Bible itself, in the form of the parables told by Jesus. No one would argue, for example, that the Good Samaritan must be a real person for his story of helping a stranger injured by the side of the road to be meaningful. Swedenborg sees the same kind of spiritual meaning in the stories of Adam, Eve, Cain, Abel, Noah, and others from the early chapters of Genesis. And that spiritual meaning, he says, is what really matters. “Without this interior life, the Word in its letter is dead,” Swedenborg wrote in the introduction to Secrets of Heaven, his multivolume work on the internal meaning of Genesis and Exodus. It resembles a human being, in that a human has an outward self and an inward one . . . The outer being, separated from the inner, is just a body and so is dead, but the inward being is what lives and allows the outward being to live. The inner being is a person’s soul. So if we just look at the story of the serpent as an outward thing, as a natural history of the natural world, then we’re missing the soul inside the story. Legs, no legs, who cares? It doesn’t matter if these events are true history, Swedenborg would argue, as long as we understand the spiritual meaning that lives inside the story we read.